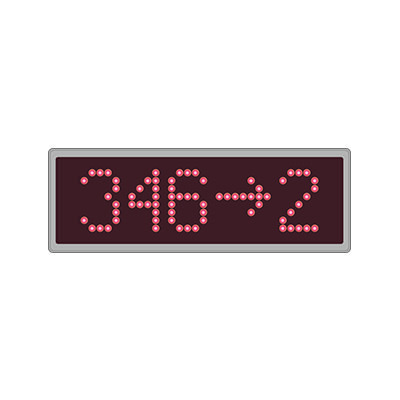 8×30 dots, low resolution, red color LED panel. 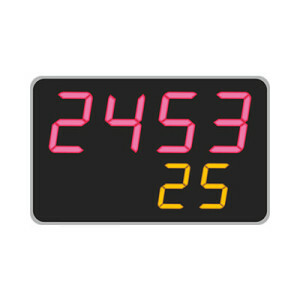 Flat-shape plastic outer case. 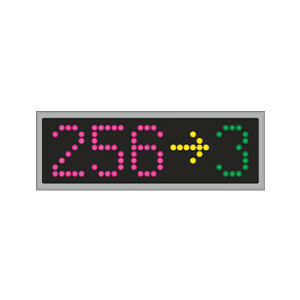 Standard Dot-Matrix Counter Display, with oval case Dot-matrix, red color LED panel with 10×40 dots resolution. Oval shape plastic outer case. 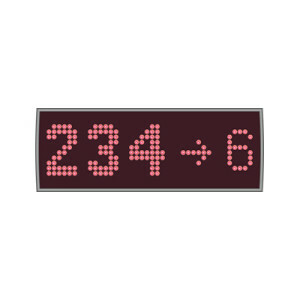 Dot-matrix, red color LED panel with 10×40 dots resolution. 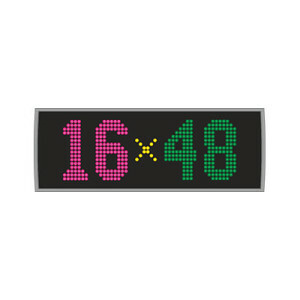 16×48 dots high resolution, red-green-amber color LED panel. 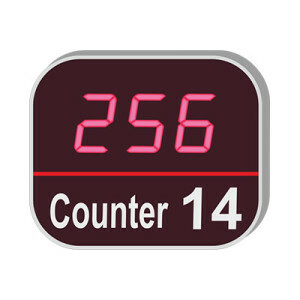 LCD Counter Display, TFT LCD panel is implemented as Counter Display. 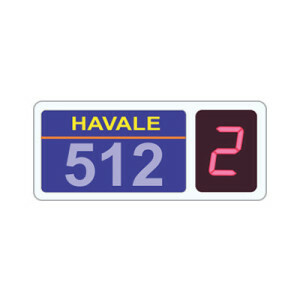 Full color, and very high resolution allows perfect presentations. 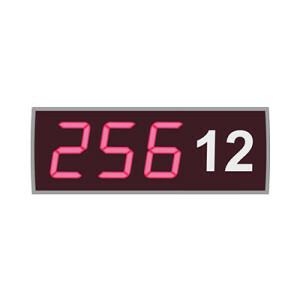 3 digits, numerical (7-segment) LED display panel in red color. 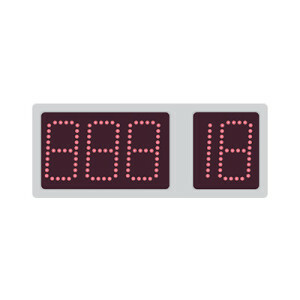 3 digits Queue No + 1½ digits Counter No, numerical (7-segment) LED display panel in red color. 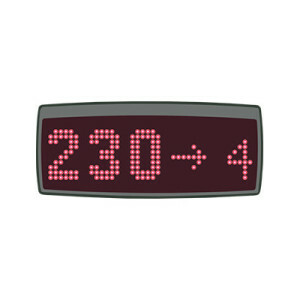 4 digits red color Queue No + 2 digits yellow color Counter No, Numerical (7-segment) LED display panel.